What a fun way to freshen up a basic t-shirt. 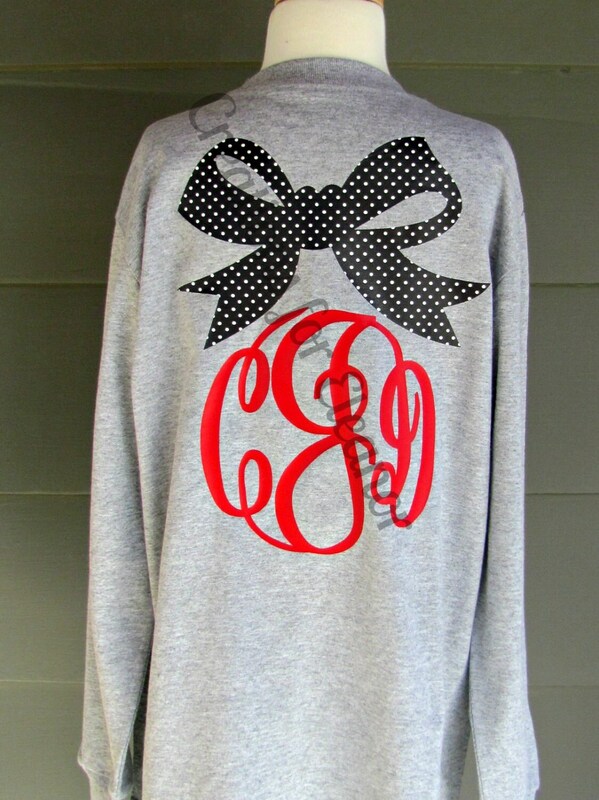 Bow is done in a patterned vinyl on the front and the back (can be solid if you want) and monogram is done in a coordinating solid color. This high quality vinyl is applied with a professional heat press, not an iron, giving it a permanent finish. On the front is only small bow on chest area. All shirts are custom finished in a a pet free, smoke free home. 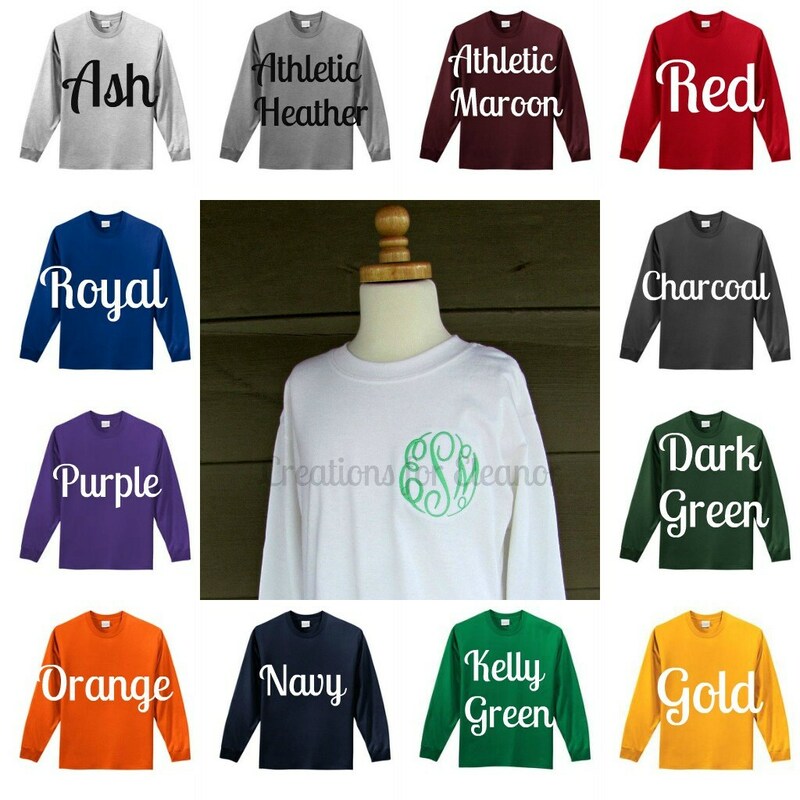 They are custom made for you and will take 3-4 weeks, please convo me if you feel you will need this shirt quicker. Due to the custom nature of this item it cannot be returned. 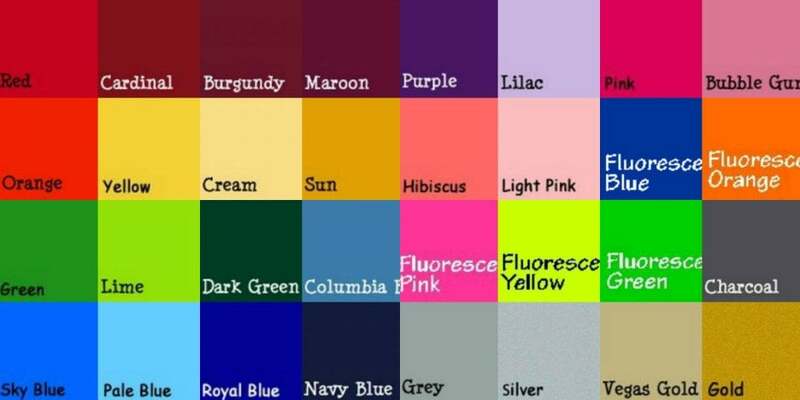 Please indicate the colors you would like the vinyl in and also the font. 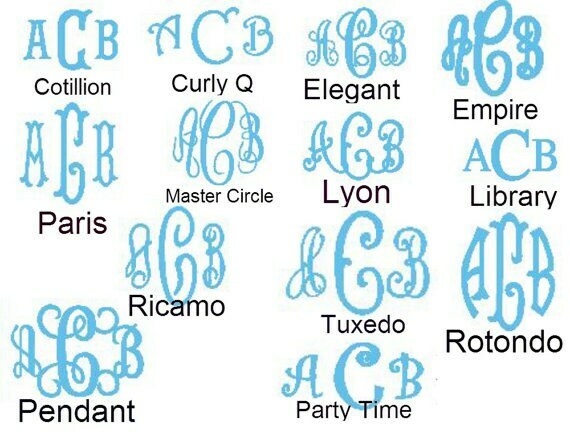 List the initials in the order first LAST middle. 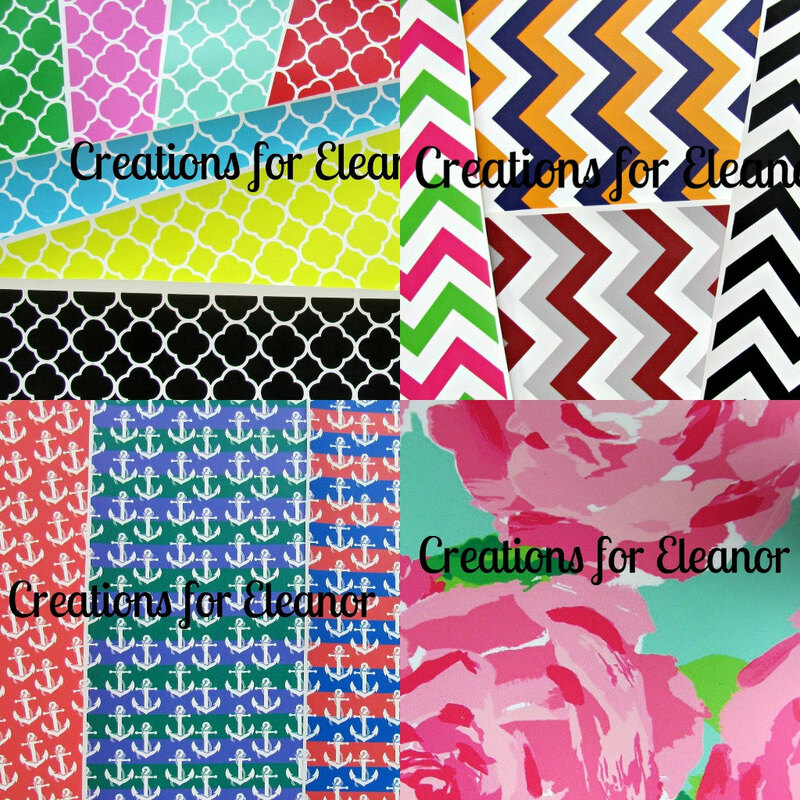 Chevrons are available in most colors, check first. Solid color will be done to coordinate best.